Should the start time of schools be moved forward? In what ways could a later start benefit teenagers, but also cost them? How would an earlier start time affect students? To respond to the Do Now, you can comment below or post your response on social media platforms such as Twitter, Instagram, Tumblr, Vine, Flickr, Google +, etc. Just be sure to include @KQEDedspace and #DoNowFirstBell in your posts. Go here for best practices for using Do Now, using Twitter for teaching and using other digital tools. In October 2014, the American Academy of Pediatrics (AAP) issued a policy statement suggesting that school districts consider starting school after 8:30am. Currently, some schools start as early as 7am. With the option of a 0 period, or an optional class before 1st period, it can be even earlier. One reason for this schedule is a consideration for parents’ work schedules, making it easy for parents to drive their kids to school. Many argue, however, that teenagers and adults do not function on the same sleep schedule. They say that students can find other ways to get to school: a small price to pay for getting enough sleep. The proposal to push back when first period begins comes from concerns that starting school too early negatively affects teenagers. Studies have shown that middle and high school students with adequate amounts of sleep, 8-10 hours, have better test scores. This subject has been debated heavily since schools began starting earlier and earlier. The AAP study found that most teenagers need sufficient sleep to cope with busy lives filled with school, sports, and extracurricular activities. According to this research, the ideal amount of sleep for the average teenager falls between 8.5 and 9.5 hours a night, and teenagers who receive adequate sleep benefit from better physical and mental health, safety, and academic performance. It also revealed that puberty causes a “phase delay” in teenagers, which shifts the time that teenagers fall asleep back by two hours. Because of this, the average teenager is expected to fall asleep after 11pm and wake up around 8am. When students do not get enough hours of sleep due to the phase delay and waking up early, it can have a long term impact on students’ health. A National Sleep Foundation poll reported that 28 percent of teenagers have fallen asleep in class at least once due to lack of sleep. Negative effects of sleep loss include impairments in mood, attention, memory, behavior and executive function. In addition, a lack of sleep may lead to an increase in caffeine use to counter the effects of drowsiness. Finally, this study found that sleep-deprived teens are at a higher risk of car accidents. Many researchers agree that starting the school day later might be beneficial to young people. Lawrence Epstein, a medical director of Sleep Health Centers in Brighton, Massachusetts and an instructor of medicine at Harvard Medical School, believes that “adequate sleep is essential to feeling awake and alert, maintaining good health, and working at peak performance.” Starting later can allow youth to get the necessary amount of sleep, which is due to the natural late-to-bed and late-to-rise biology of teenagers. 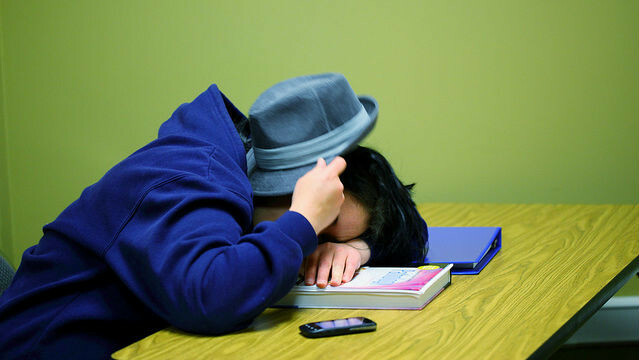 According to the American Academy of Sleep Medicine, “Students with symptoms of sleep disorders are more likely to receive poor grades in classes such as math, reading and writing than peers without symptoms of sleep disorders.” Getting enough sleep might lead to a decreased risk of car accidents, less depression and obesity, the prevention of illnesses like colds and flus that adversely affect academic performance, and generally improved mental ability. 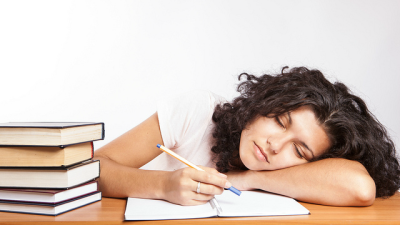 Although students can get more sleep by simply going to bed earlier, many need this time to finish homework. With a later school start time, students can have both: adequate time to prepare for the next day and a sufficient amount of sleep. On the other hand, there are some disadvantages to a later school day. Schools starting later would require schools to also end later. This would cut into extracurricular activities and sports that are an important part of many teens’ lives. Balancing practices and games with homework might become a lot harder to juggle. Many teens also have to work after school to support their families, which would become very difficult with the later school times. In addition, many teenagers might go to sleep later at night if they don’t have to get up as early, which would negate the value of the later school start time. Some argue that early school start times are beneficial because they prepare young people to get up early, like they will have to do in the work force. Another argument against a later school time states that it is an inconvenience for families since many parents take kids to school on their way to work. According to NPR’s program All Things Considered, almost 50 percent of Americans kids walked or biked to school in 1969 but today the figure is only 13 percent. This data would imply that more parents might need school start times to align with their work schedules in order to transport their children to and from school. The circadian rhythm determines a person’s sleep patterns every 24 hours and it seems that a person’s circadian rhythm varies on their age, therefore school starting earlier interferes with older students’ sleeping pattern. Sleep deprivation caused by early starts at school is a factor of obesity, depression, and a lower quality of life. AsapSCIENCE shows how our brains function after sleeping a night of 4 hours, 6 hours and 8 hours. This video talks about the consequences of sleep deprivation for adolescents and gives statistics on start times for schools. Do Next takes the online conversation to the next level: these are suggestions for ways to go out into your community and investigate how the topic featured in this Do Now impacts people’s lives. Use digital storytelling tools and social media to share your story and take action. Make sure to tag your creations with #DoNowFirstBell. Create an infographic: Illustrate the research and your own stance on the issue. Use a free online tool like easel.ly to visualize your data and support your position. Share on social media. 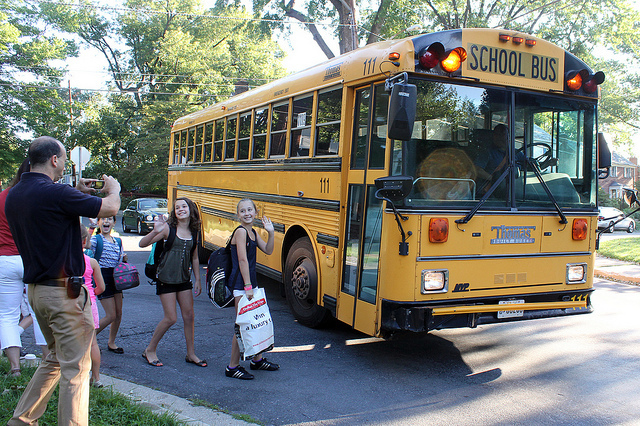 Interview other students: Ask them how they feel about starting school later in the morning. Use Vine or Instagram’s video to create a series of short “man-on-the-street” statements that capture students’ opinions on the issue. Share on social media. Create a slideshow: Illustrate both the pros and the cons of starting school later in the morning. Use a free tool like animoto to pair your images with audio narration and share on social media. Make a mini-podcast: Express and defend your opinion on this issue and upload to an audio sharing site like Soundcloud and share your creation on social media.